But, I wonder what is the atlas really collecting and what’s the purpose of publishing it as a body of work ? Memories and reasons for paintings? Some of the photographs are so well composed, I have to wonder if the desired image was already formed in the mind and the photograph is a way of testing it out – before it is transformed into a painting. I find it interesting where the impulse to finally paint an image comes from – the creative tipping point. Photographs are like rough drafts. A collection of image models. Or, as the introduction suggests, a way of filtering all the possible images to locate the “right image”. 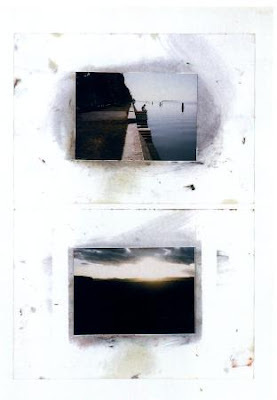 Of interest are the photographic experiments – double exposures and self portraits – sometimes labeled “for prints”. 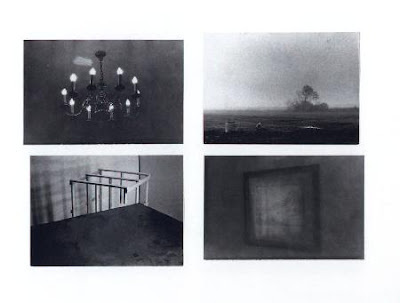 I don’t know that there are any Richter photographs that are themselves catalogued as finished work. It would be interesting if there were – would they look like Richter’s paintings or be something else? Where a painting is a “one of a kind” object – existing as its own image – Photography is always of something – and can never seem to escape that … Both involve the hand of the artist – decisions, exclusions, technique, product are all employed to produce – to create “the image”. This entry was posted in Inspiration and tagged Atlas, Gehard Richter, Painting, photograph by Matt Niebuhr - West Branch Studio. Bookmark the permalink.